Thanks to the two people who tried to tune into my facebook live event on Monday. Thanks to a computer glitch and my reluctance to wear makeup that early in the morning, viewers were treated to a very exciting online event! I'm being sarcastic, of course. Or silly. It all depends upon your perspective, I guess. 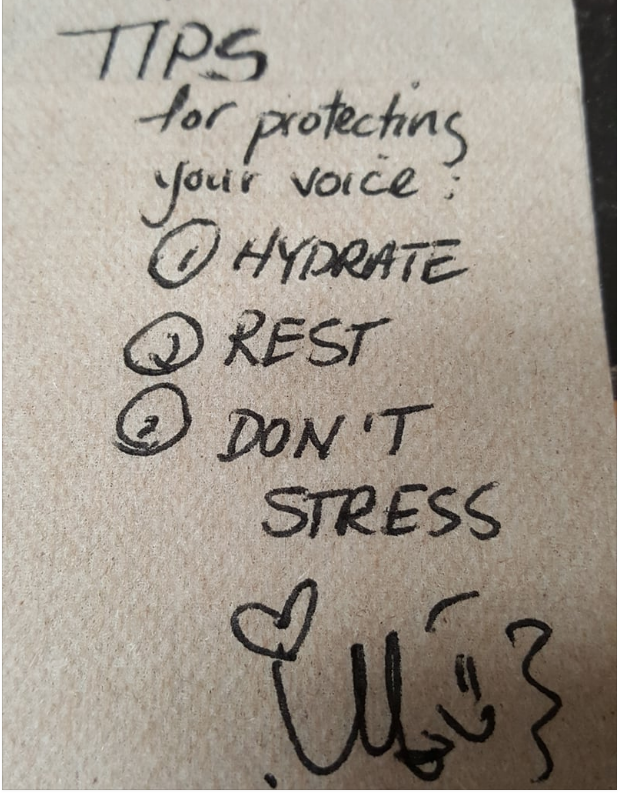 I did manage to write my tips on protecting your voice on a napkin and share it on my MariMackMusic Instagram, and a few other places on social media. Stressing always makes things worse. It tightens up your vocal chords. 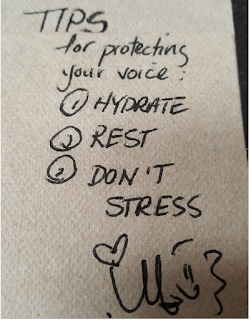 Of course, the best way to not stress is to make sure you are prepared and/or be ok with winging it. By the way, the more you are prepared, the better you get at winging it (a/k/a improvising.) That may sound funny, but it is true. Come to think of it, winging it is the only way to fly! Think about it. I have no gigs coming up, but have been working on an interesting project. It includes music!